The residents at Ansam, Yas Island have a very relaxed and pretty unique lifestyle being in this resort type of area. Ansam boasts of a smorgasbord of luxury facilities to enjoy. First, there are the Ansam luxury apartments built by Aldar. These Ansam apartments are low-rise and have excellent density. You’ll also get to enjoy a lot of local retail stores and gardens that you can take a walk in. 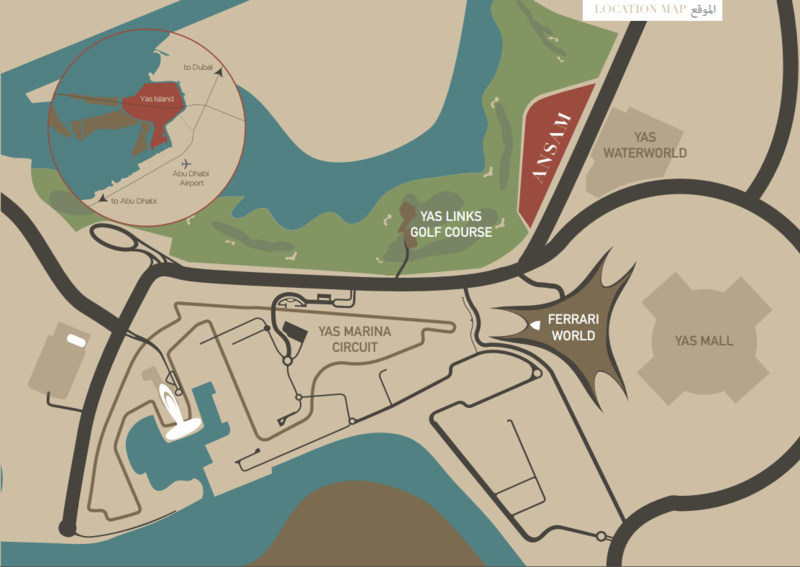 You’ll also have complete access to the Yas Links Golf course if you want to play a round or two. Ansam also offers a community life wherein all the gardens are connected by access roads and pathways. The entire community is run by a very strong security system to ensure the full safety of all the residents. With barrier access and proximity cards, the residents can feel safe as they go about with their daily activities. If you’re wondering, the starting price for a two-bedroom apartment is around 1,800,000 and 2,800,000 for a three-bedroom version. For payment, you need to pay a 25% downpayment with the balance given during the handing over of the apartment. You may also check out the Ansam floor plans to know what the apartments look like. Starting prices: from 1,800,000 for two bedroom apartments and from 2,800,000 for three bedroom apartments.